Concert pitch Wooden flutes with Sterling silver. Recently repairing some cracks in wooden flute. I'm happy to say I'm now taking orders for wooden flutes! Here are a few tunes below on a recently finished D flute in Blackwood. 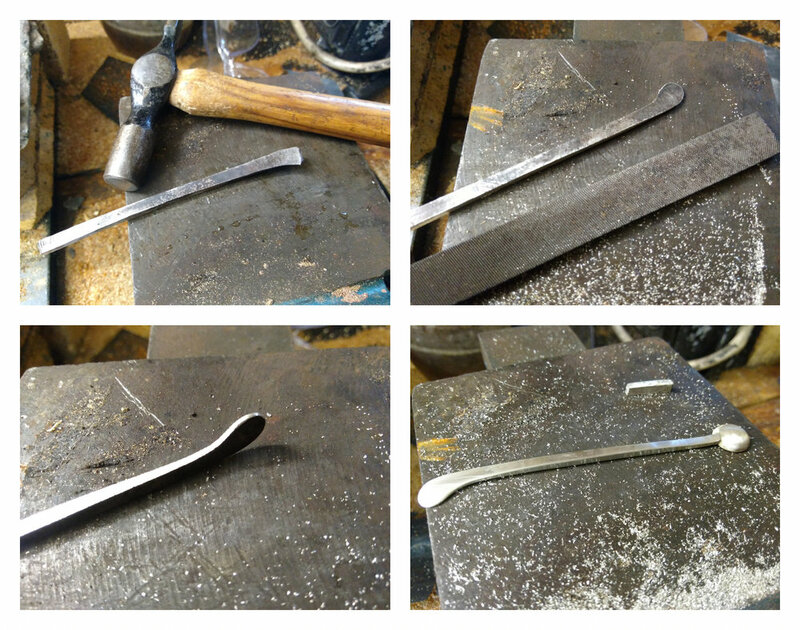 Here is a quick snap shot of the process of forging the silver keys. The silver is heated red hot and is then allowed to cool. This anneals (softens) the metal before it is beaten and hammered to shape in a process called forging. 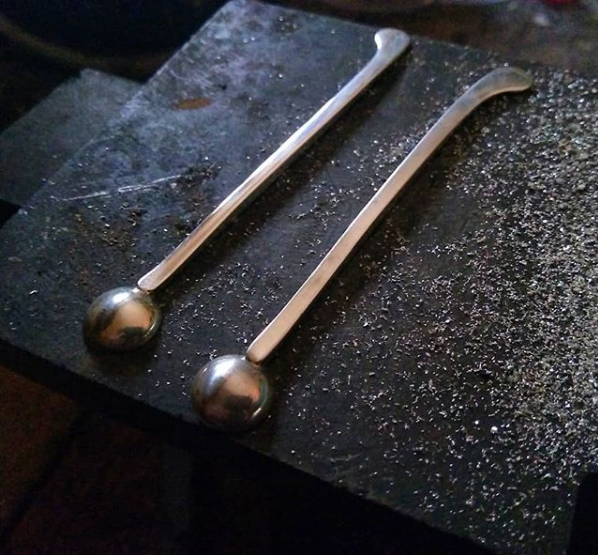 While forging brings the key to shape it also has the benefit of imparting strength back into the metal. An exciting new project which has been in development for many years is now coming to life. Alongside the Uilleann pipes I also have a passion for the wooden flute and have been working on a design to suit the traditional player. I will soon be offering flutes in the key of D ( keep an eye out on this page for updates) which are perfectly suited to the playing of tradional Irish music, Breton and other Folk music. 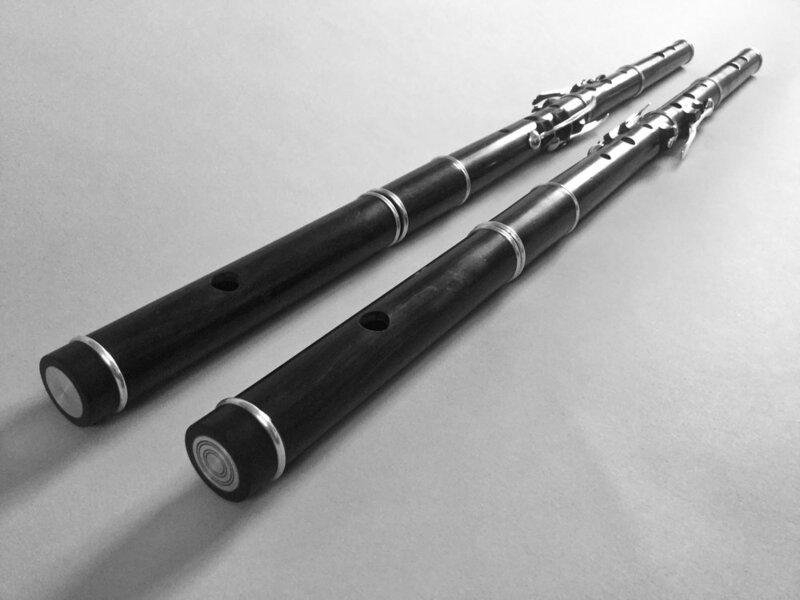 Flutes are made from the finest quality materials including , African Blackwood, sterling silver rings and a lined head with tuning slide. I also offer a repair service for flutes, including repadding, replacing broken parts and lost silver rings aswell as replacing cork joints. Concert flute with Sterling Silver and African Blackwood. A recent repair job, replacing a cracked barrel from an old flute.